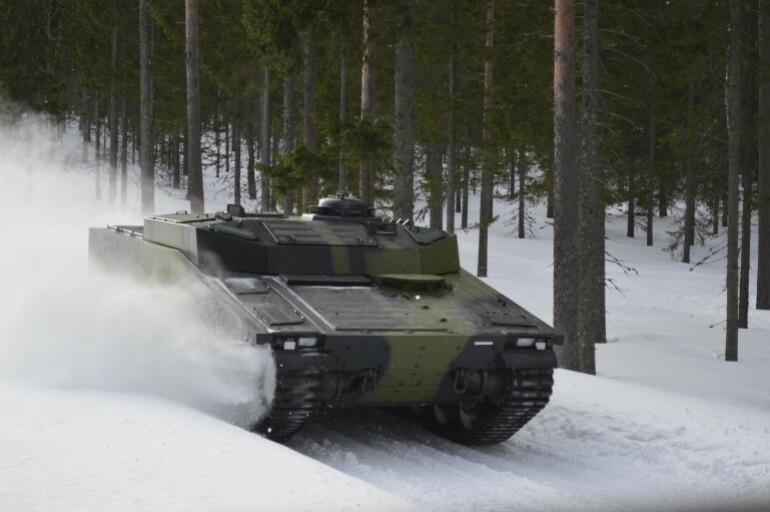 Developed in the mid-1980s, in Sweden, Combat Vehicle 90 (CV90) refers to a family of advanced tracked combat vehicles, designed primarily for the Nordic climate and terrain. Today its sole manufacturer is the Swedish defence company, BAE Systems AB. As part of the organization’s latest project, the engineers, at BAE Systems, have skilfully utilized the ‘Active Damping’ suspension technology, used in F1 cars, in order to enhance the CV90’s battlefield speed and performance. 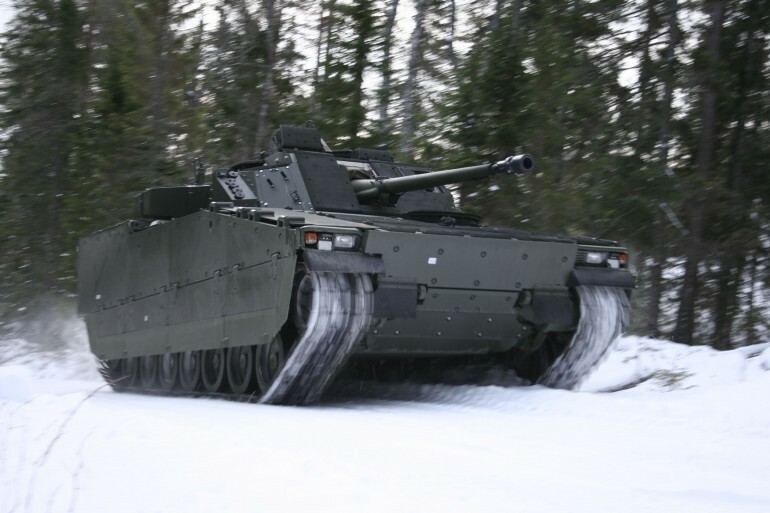 Marking the first time that such a technology has been adapted for use in tracked vehicles, the active damping system brings about a substantial improvement in the CV90’s speed and agility, by lowering its pitch acceleration by an impressive 40-percent. Proper suspension technology is crucial when it comes to armored fighting vehicles (AFVs). Weighing over seventy tons, these vehicles are required to navigate rough terrain smoothly; a factor that in turn affects firing accuracy when on the move. Up until now, tracked AFVs featured standard suspension systems, based simply on oil dampers and passive springs. The active damping technology provides a far more intuitive solution to automobile suspension. First introduced into the world of Formula One racing, in the 1990s, the system measures the vehicle’s speed, and automatically discerns the lay-out of the ground ahead. Subsequently, it prompts the suspension to keep the vehicle on an even plane at all times, by lifting the chassis accordingly. The system was originally designed for carbon fiber-based racing cars, with net weight of less than 700 kg (approx. 1543 lb). 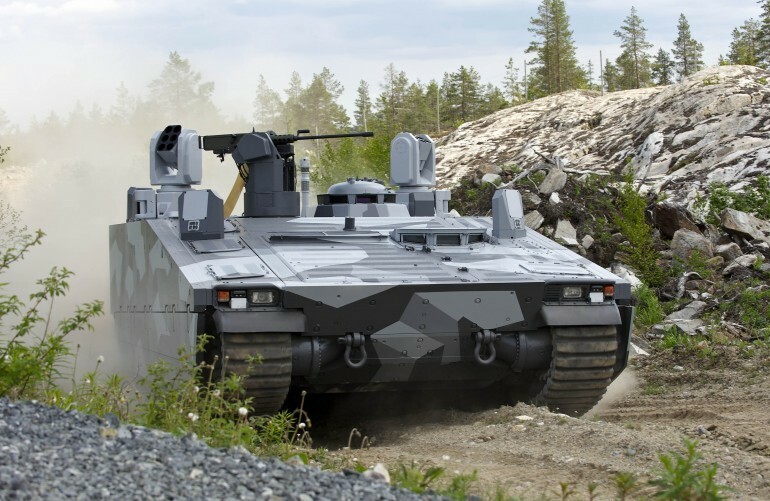 Therefore, the biggest challenge for the engineers, at BAE Systems, was to tailor the technology for use in heavy armored combat vehicles, weighing up to 35-tonnes. According to the developers, the use of active damping system enhances the vehicle’s stability, thereby reducing its wear-and-tear and the associated repair costs. 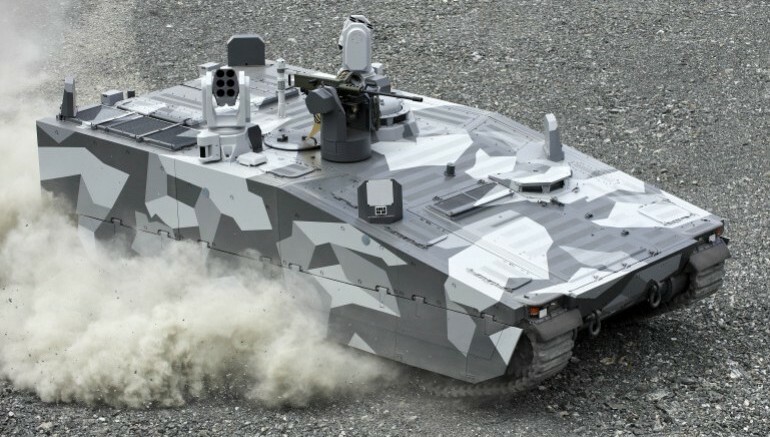 What is more, the technology has caused the CV90 to attain record-breaking speeds, in rough terrain, amongst all tracked combat vehicles. It results in an impressive 30 to 40-percent improvement in speed, thus making the CV90 faster than Main Battle Tanks (MBTs). Additionally, the system increases the vehicle’s agility, by decreasing its pitch acceleration by over 40-percent. Adapting the Active Damping system for the first time from a lightweight car to a heavy tracked vehicle such as CV90 was a unique challenge for us. But this advanced technology will deliver results to our customers in terms of vehicle performance and savings on the through life costs, as well as providing real benefits to the front line soldier.